Healthy Directions Magazine featured an article on the humble oats. These are a powerhouse of nutrition and a great way to add whole grains and fiber to your diet. This great Canadian Magazine featured tips on getting your minimum servings of 3 whole grains a day. Eco-Planet 7 Whole Grain Instant Hot Cereal makes morning oatmeal a very easy dish for busy families. The oat in Eco-Planet Instant Hot Cereal are uncontaminated oats that are batch tested for Gluten. This Cereal works well for anyone with wheat and gluten intolerance. "Cook up a large batch of steel-cut version, which is highest in beta-glucan. Steel Cut oats take much longer to cook but is well worth it for the superior taste, texture, and health benefits," says Janet Bond Brille, Ph.D., R.D., LDN. Beta-glucans are an effective LDL-lowering substance. 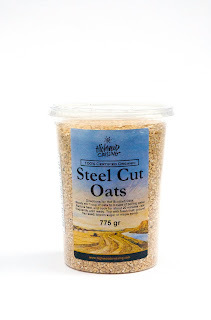 Highwood Crossings Steel cut oats are hitting shelves across health food stores and at your local Safeway this month. 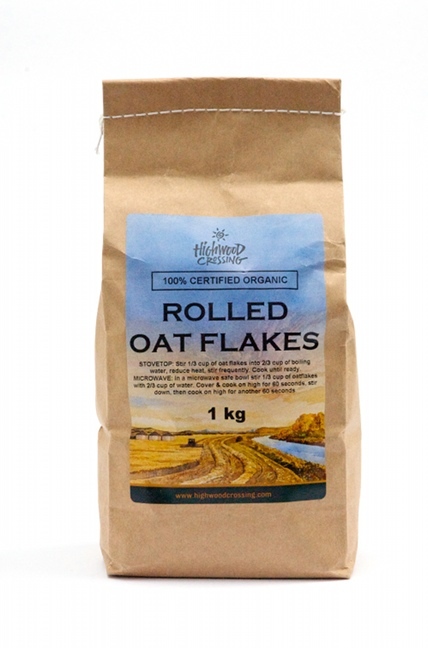 Or try their traditional "Old Fashioned Rolled Oats". Much superior in texture and quality to regular grocery store instant varieties. 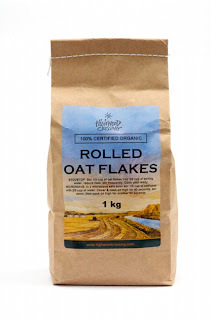 Oats are filled with soluble fiber which is perfect to maintain digestive health. It is much more soothing on your GI track than scratchy brans from other grains like wheat. Here is an Oatmeal Raisin Muffin Recipe that can be made using Alberta's own Highwood Crossing flours, oils, and oats. Don't forget Fair Trade Arayuma True Cinnamon Spice. This is the real cinnamon that has all the health benefits, it is not the cassia substitute you would find at your local grocery store. Posted by Planet Foods at 8:36 a.m.